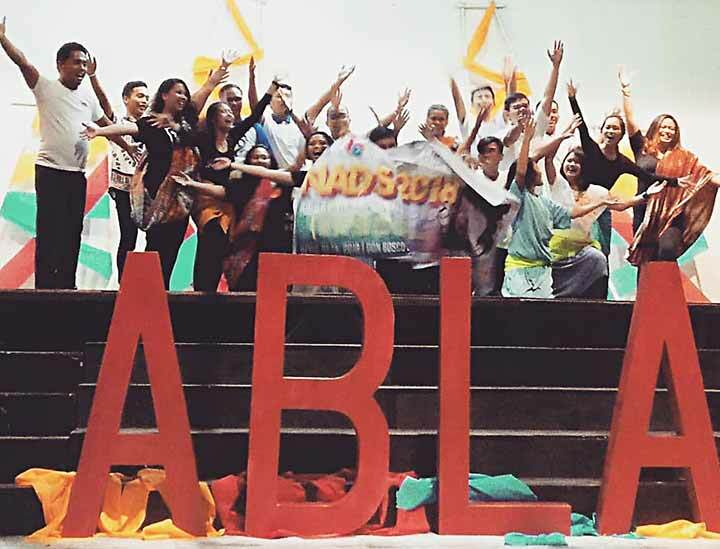 Calamba City, the Philippines, 21 April 2018 -- “Hearts ablaze” (Lk 24:32) captures succinctly what just happened during the Salesian Youth Movement National Assembly Days 2018 held at Don Bosco College, Canlubang. 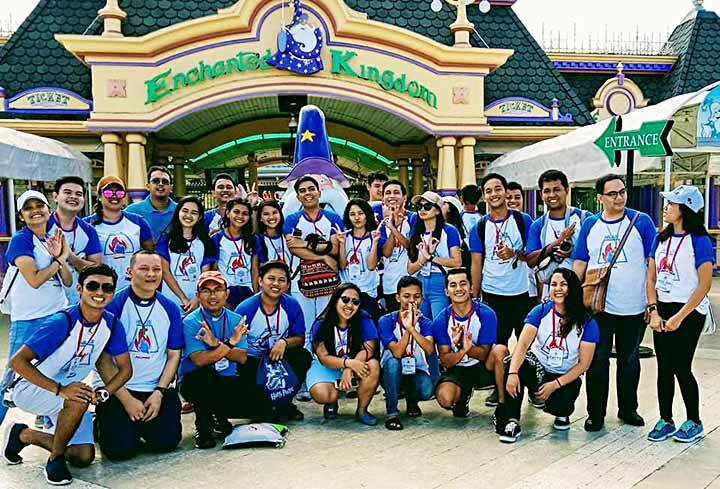 From April 10 to 14, youth leaders animators from SDB-FIN, SDB-FIN, and FMA-FIL gathered together to take on a challenging task of coming up with a renewed identity, vision, and mission for the SYM of the Philippines. 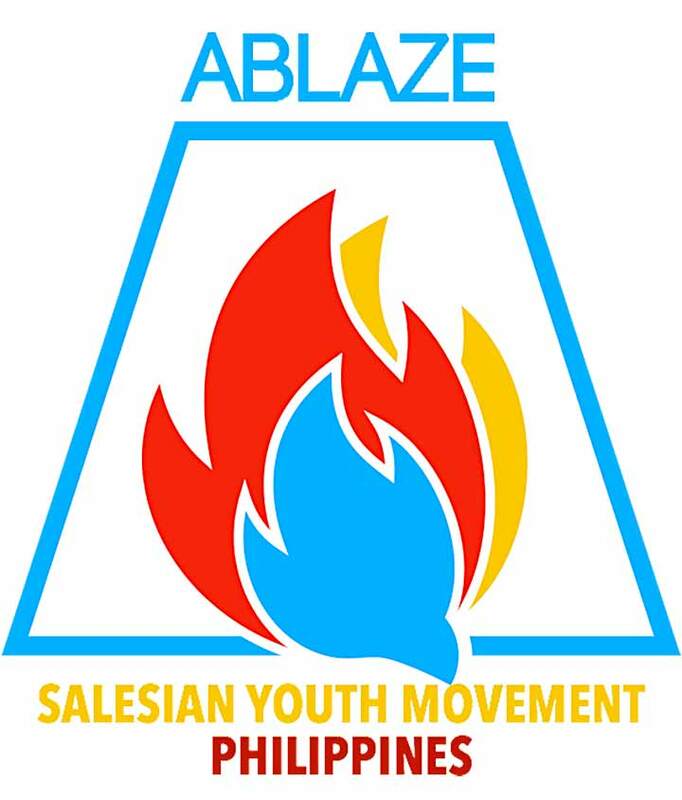 What started as a question, a simple musing turned into a dream, a dream that all three provinces worked hard for: one Salesian Youth Movement Philippines. In the presence of Fr. Jose Lorbeth Vivo, SDB of the Commission on Youth Ministry of SDB-FIN, Fr. 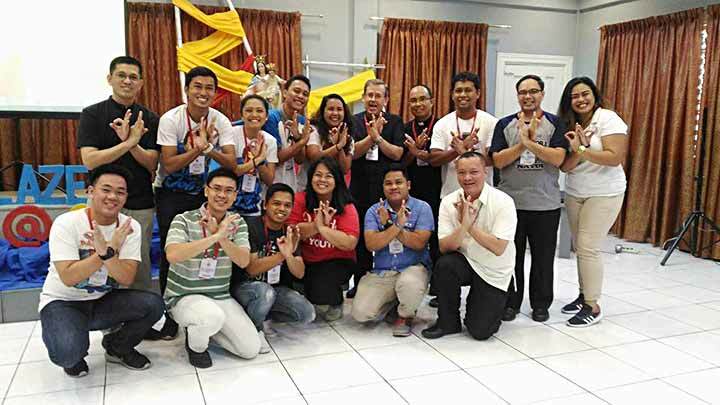 Joriz Calza, SDB of the CYM of SDB-FIS, the Salesian delegates of the SYM from the three provinces, Fr. Juvelan Paul Samia, SDB (FIN), Fr. 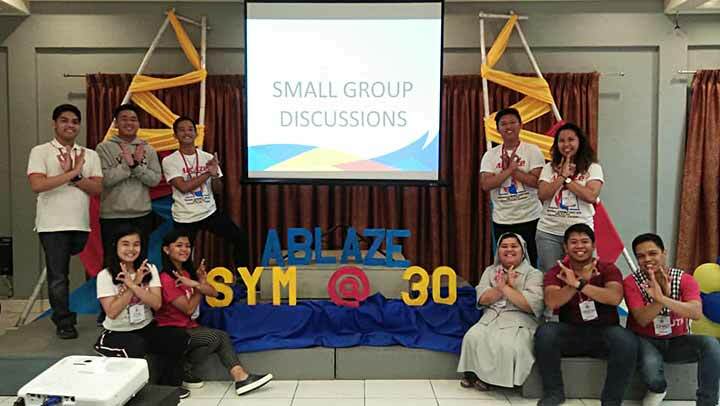 Vernil Lopez, SDB (FIS), and Sr. Tess Mendoza, FMA, coming from the three provinces took on the task to revisit the Salesian Youth Movement of the Philippines’ identity, mission and vision. The whole event started with the celebration of the Holy Eucharist presided by Fr. Vivo, invoking the help of the Holy Spirit to guide everyone, participants and organizers alike, as they take their NADS journey. All throughout the four days, prayer experiences, a Eucharistic adoration, and masses were prepared for everyone to take time to reflect and to seek light and strength from God. Fr. Dindo Vitug, SDB, the Executive Director of OneTVET Philippines, facilitated the entire process, gaving the participants inputs on identity, mission, and vision. Fr. Vitug’s insights truly gave the participants points to ponder. It was as so inspiring to see all the delegates so driven and ablazed, working together to make a dream come true. With the grace of the Holy Spirit, after 3 days of hard work, on the 13th of April the Central Committee presented the final output of the National Assembly Days for final approval. On the following day, 14th of April, the NADs delegates presented the new Identity, Mission, and Vision of SYM - Philippines to Fr. Fabio Attard, SDB, the General Councilor for Youth Ministry of the Salesians of Don Bosco. A dream has come true for the Salesian Youth Movement, and we are now moving forward towards making new dreams come true. Truly great strides and great things ahead!